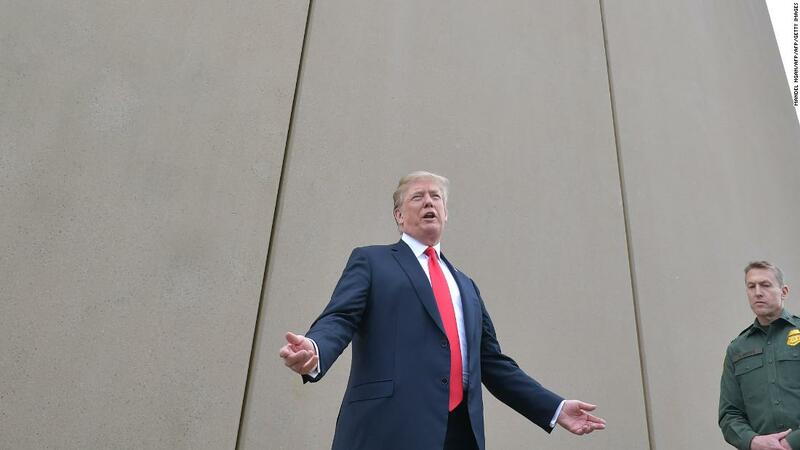 Washington (CNN) In walking back his threat to close the US-Mexico border, President Donald Trump said Friday he would override his pending US-Mexico-Canada Agreement to impose a 25% tariff on cars made south of the border if Mexico doesn’t help stem the flow of undocumented immigrants into the United States. “However, if for any reason Mexico stops apprehending and bringing the illegals back to where they came from, the U.S. will be forced to Tariff at 25% all cars made in Mexico and shipped over the Border to us. If that doesn’t work, which it will, I will close the Border,” he wrote. “This will supersede USMCA,” he added. The statement could undermine the ratification of the trade deal, which is meant to replace the North American Free Trade Agreement. Trump has called the original pact one of the worst deals he’s ever seen, and has touted the USCMA as a shining achievement of his administration. It would keep vehicles made within North America free from tariffs, as long as most of its parts were made inside the three countries and by workers earning at least $16 an hour. The deal was signed by Trump and his counterparts in November, but must be ratified by their respective legislative bodies before going into effect. “To me, that would kind of be an incentive for Mexico to not move so quickly to ratify the USMCA,” said Welles Orr, who served as assistant US trade representative under President George H.W. Bush. Trump loves to dangle the threat of auto tariffs in international negotiations, and suggested in February that he might impose duties on vehicles made inside the European Union. A spokesman for the American Automotive Policy Council — which represents Ford, GM and Chrysler — did not respond for a request for comment Friday. But the three automakers have loudly protested Trump’s previous threat to impose tariffs on vehicles and auto parts from around the world. While US plants could stand to benefit if tariffs are put on foreign vehicles, taxes on auto parts could have a crippling effect. Nearly every US model is built using component parts. 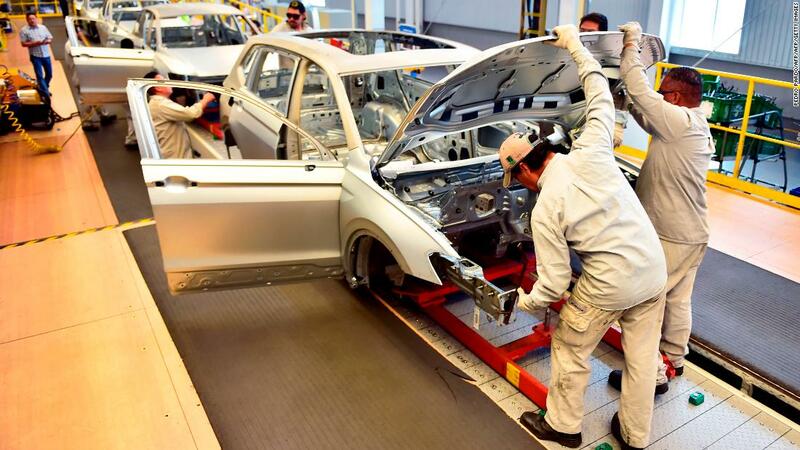 US and Mexican automakers have highly integrated supply chains, and more than $100 billion in vehicles cross the border annually. Some US companies have plants in Mexico, and the tariff would make those cars more expensive for Americans. Production there may slow, impacting parts suppliers located north of the border, too. “There is a lot of pain to go around if these tariffs went into effect. At the end of day, American consumers will pay more for vehicles. Many parts of the US economy would be impacted,” said Charlie Chesbrough, senior economist at Cox Automotive, which runs Kelley Blue Book and Autotrader. Trump imposed tariffs on steel and aluminum imports last year, making some component parts more expensive for car makers — but hasn’t pulled the trigger on auto tariffs. He first asked the Commerce Department last year for an investigation into whether imported vehicles and parts pose a threat to national security. The findings of the report have not been made public, but Trump has until the middle of May to make a decision. The proposed 25% tariff is a retreat from threatening to fully close the border. One economist predicted that would cause the entire US auto industry to shut down within a week, because every US auto plant depends on parts made in Mexico. “At this point, I think the industry is just taking what the President says with a grain of salt. He says a lot but in reality, hasn’t implemented that much,” said Chesbrough. All-In-One Car Diagnostics Scanner Software for OBD2, OBDII Cars, with ECU Chip Tuning Ability.